Is your laptop facing hardware problems? Get reliable authorized service support for your laptop . HARDWARE PROBLEMS Problems fix in Hyderabad and Secunderabad. MacBook HW Damage. Laptop Hardware broken. Computer Hardware issue is a common issue for all laptop or pc. for HP, Dell, Lenovo, Acer, Asus, Apple, Sony, Toshiba. so be confident to choose the right service provider by login our website or call us our customer support. We provide high class service by our expert engineers, our engineers diagnose your system at free of cost before replace or fix any issues of your system. 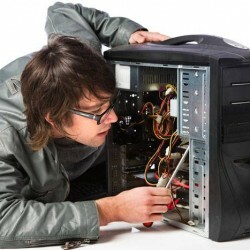 Our technical expert will give support to fix the errors of your laptop. We provide free delivery and high quality service at best price in the market. So be smart to get rid of not working issues of your laptop. Our expert engineers quickly identify the problem of your laptop by diagnose your system thoroughly, that they can easily find a solution to solve the problems of your system. Keeping in our mind of your busy schedule we provide fast delivery of your system after completion of repairing your laptop and the delivery is free of cost. If you are thinking about our genuinenity then you do not have to worry about it,we replace all the needs of your laptop with original parts and with warranty. Round the clock research and come out with the right solution for our customers is the main moto of our expert engineers. We think beyond to achieve your goals. the market value, We are satisfy with the satisfaction of our customers.